Not long ago, pushing a button and immediately receiving your product seemed the stuff of futuristic movies with the likes of time travel and hover cars. While we’re still waiting on the latter, the On-Demand Economy has made (almost) immediate delivery a reality. Companies like Uber, Airbnb, Postmates, and more, have disrupted their respective industries by creating solutions to meet the unstoppable demand from consumers to have what they want, when they want it – and that usually means right now. By putting control over delivery into the hands of the consumer (i.e. do you want it now, or at a specified later time? ), companies are allowing them to interact with products and services truly on their terms. This requires a deep understanding of consumer behavior and expectations, as well as the tools, payment options and customer experience to drive on-demand loyalty. 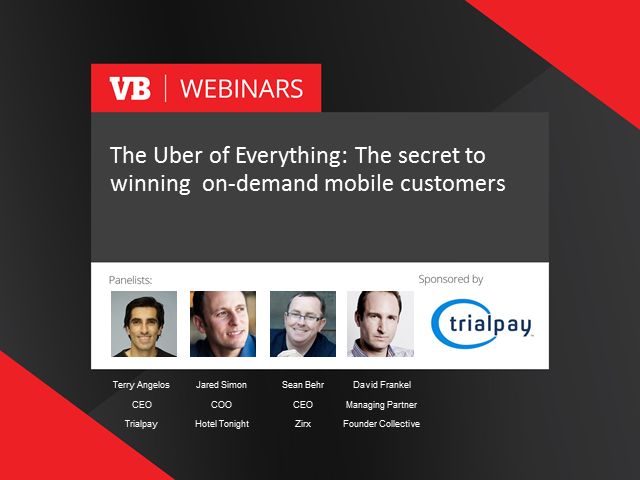 Join us for a conversation on the on-demand economy, and how it's changing the future, and the present, of commerce.